Brightening Treatment is our newest facial that combines gentle, yet powerful enzymatic and AHA exfoliants for immediate skin brightening, anti-aging and anti-inflammatory benefits. The result after receiving this treatment is instantly stronger, healthy-looking skin with a noticeable glow. Ideal for all skin types! You will see brighter & radiant skin with no downtime of a peel! 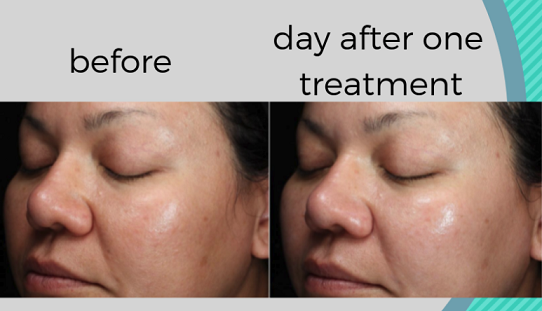 This treatment is 50 minutes and you will leave with a noticeable difference in your skin!